I just wanted to remind all of you that the cutoff to enjoy a FREE 1 year subscription to the premiere parenting magazine is quickly approaching this March 3rd. I’m sure you all remember that we ran this promotion for a free subscription to Parents Magazine back in January. Click here, enter your information, and receive Parents Magazine no strings attached. You’ll never receive a bill! Parents is devoted to serving anyone who is raising children. 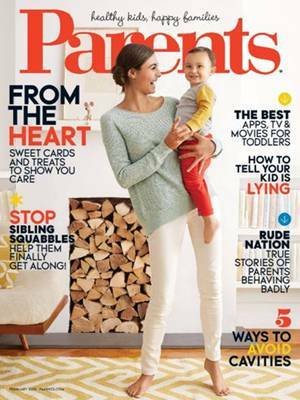 With information on everything from beauty and food to child development and education, Parents is America’s #1 parenting magazine. Here’s a reminder for an amazing freebie if your looking for magazine subscriptions. You can sign up for a free magazine subscription to a Parenting Magazine today by clicking here. There is no catch here and you won’t need a credit card. There are no strings attached. Check out the freebie, and tell us what you think in the comments section below! Remember, this deal expires on February 5th! So, don’t wait too long.